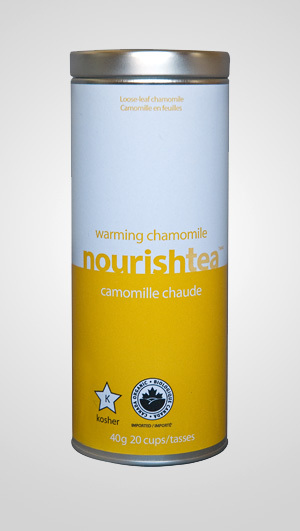 This wonderful chamomile originates from the land of the pyramids. Authentic Egyptian chamomile has been used for centuries to help relax the mind, relieve stress and bring tranquility. We have selected only the finest chamomile flowers for our tins for the most flavor, fragrance and beauty (all necessary for the perfect cup of chamomile). We invite you to stop what you’re doing… turn off your iphone or blackberry, settle into a good book, and enjoy a cup of warming chamomile. It’s like no other. (Just pop open this tin and experience the overpowering fragrance of these enormous flowers…).